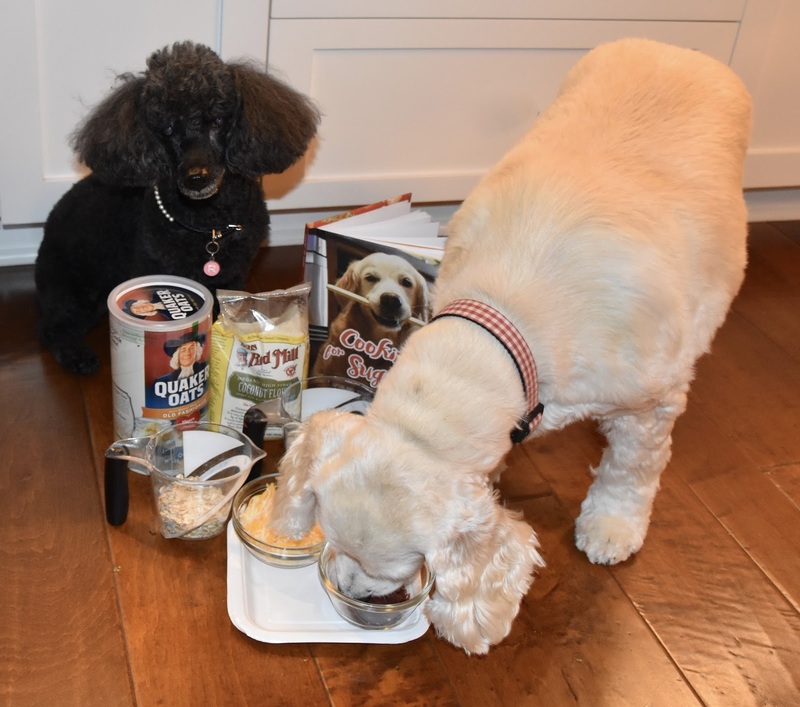 For #FuzzFriday we decided we wanted to try more treats from Sugar's cookbook. This time we chose what Sugar's Mom called "Bacon for breakfast, lunch and dinner" . Annie couldn't wait till the baking started and went after the ingredients - the bacon of course. 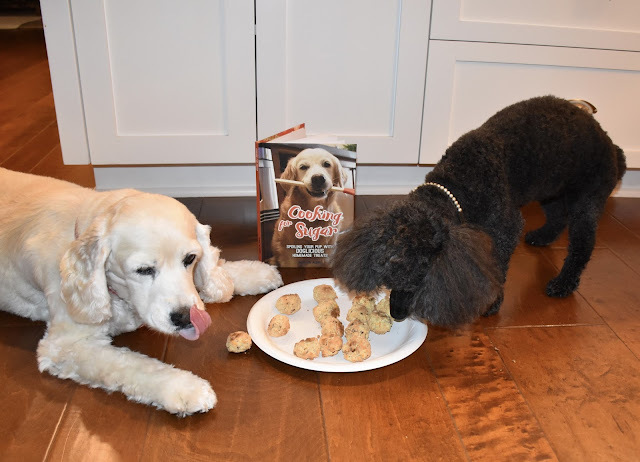 Then the treats came out of the oven and we tasted them. OMP! Annie and I just love these. We call them Bacon Balls. SO yum! We just adore the Cooking for Sugar book. In this house though, the title has been translated into Cooking For Rosy and Annie! I know! We need to thank Sugar for motivating Mom! Mom didnt like them cause they had a coconut taste, but Daddy loved them!! Of course my boys would have scooped them up quickly! Happy #FuzzFriday! RosyPoodleKisses!